NOTE: Presidents’ Day, is a federal holiday held on the third Monday of February. Lincoln’s birthday (Feb. 12) and Washington’s birthday (Feb. 22) used to be celebrated separately before the two were combined into Presidents’ Day. In place of Daily News Articles, we offer this post on George Washington. Monday’s post will be on Abe Lincoln. The regular Daily News Article resumes Tuesday, February 20. 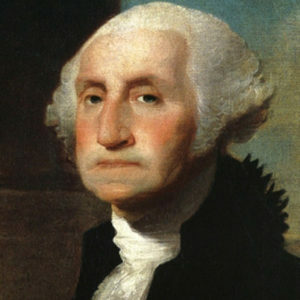 George Washington was born on February 22, 1732. Americans celebrated Washington’s Birthday long before Congress declared it a federal holiday. The centennial of his birth prompted festivities nationally and Congress established a Joint Committee to arrange for the occasion. At the recommendation of the Committee, chaired by Henry Clay of the Senate and Philemon Thomas of the House, Congress adjourned on February 22, 1832 out of respect for Washington’s memory and in commemoration of his birth. In 1862, prompted by a memorial from the mayor and other citizens of Philadelphia, the U.S. House and Senate commemorated the 130th Anniversary of Washington’s birth by reading aloud his Farewell Address. In a special joint session held in the House Chamber, the House and Senate, along with several cabinet officials, Justices of the Supreme Court and high-ranking officers of the Army and Navy, gathered to listen to the Secretary of State read the address aloud. Eventually, the reading of George Washington’s Farewell Address became an annual event for the Senate, a tradition that is still observed to this day. Washington’s Birthday, however, did not become a legal holiday until January 31, 1879 when Congress added February 22nd to the list of holidays to be observed by federal employees in the District of Columbia. In 1971, Congress switched Washington’s Birthday holiday from his birthdate, Feb. 22, to the third Monday in February and it evolved into being called “Presidents Day.” The day now celebrates both Washington’s birthday and President Abraham Lincoln’s birthday, which is Feb. 12. In 2012, George Washington’s personal copy of the Constitution, in which he had written notes, sold at auction for $9.8 million. The Mt. Vernon Ladies Association bought it. It allowed us to see, for the first time, how cautiously our first president assumed the office, his eyes not toward history but the future. He also inscribed “Presidential Powers” next to the paragraphs that lay out the president’s role as commander-in-chief, as well as his authority to grant pardons, make treaties and appoint Supreme Court justices. Beneath that, in the paragraph that reads, “He shall from time to time give Congress information of the state of the union,” Washington has added “required,” and it was he who established the address as an annual event. 1. 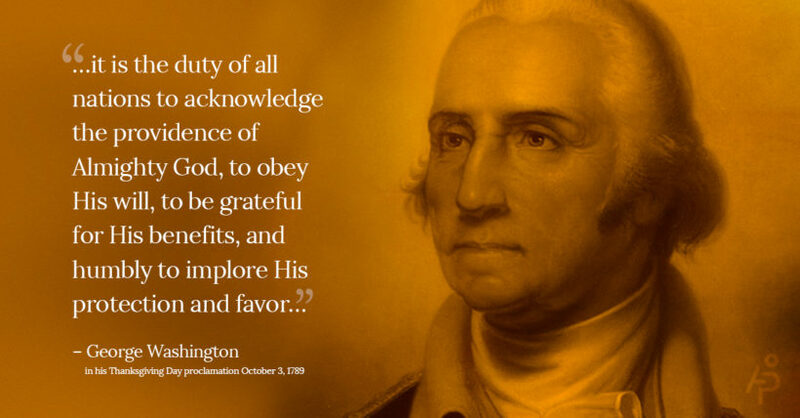 Read Washington’s Farewell Address at gwpapers.virginia.edu What impresses you most about this address? Martha Washington destroyed nearly all of George’s letters to her shortly before her death in 1802. Three letters, however, did survive. Two are printed in The Papers of George Washington, Revolutionary War Series, vol. 1, June 18, 1775 and June 23, 1775. These letters were found by Martha Parke Custis Peter, one of Martha Washington’s granddaughters, in a drawer of a small desk that she inherited from Mrs. Washington. The June 18, 1775 letter is now held at Tudor Place, home of Martha Parke Custis Peter and her husband Thomas Peter. a) Are you surprised that Martha Washington destroyed George’s letters? At the age of 15 George Washington copied the “110 Rules of Civility and Decent Behaviour in Company and Conversation.” These maxims were so fully lived out in George Washington’s life that historians have regarded them as important influences in forming his character. Listed below are several of the maxims followed by George Washington. a) How many do you follow? b) Circle the 3 maxims you think are most important for all Americans to follow. Explain your choices. #6 – Sleep not when others Speak, Sit not when others stand, Speak not when you Should hold your Peace, walk not on when others Stop. #18 – Read no Letters, Books, or Papers in Company but when there is a Necessity for the doing of it you must ask leave: come not near the Books or Writings of Another so as to read them unless desired or give your opinion of them unask’d also look not nigh when another is writing a Letter. #23 – When you see a Crime punished, you may be inwardly Pleased; but always shew Pity to the Suffering Offender. #38 – In visiting the Sick, do not Presently play the Physicion if you be not Knowing therein. #40 – Strive not with your Superiers in argument, but always Submit your Judgment to others with Modesty. #53 – Run not in the Streets, neither go too slowly nor with Mouth open go not Shaking yr Arms kick not the earth with yr feet, go not upon the Toes, nor in a Dancing fashion. #56 – Associate yourself with Men of good Quality if you Esteem your own Reputation; for ’tis better to be alone than in bad Company. #71 – Gaze not on the marks or blemishes of Others and ask not how they came. What you may Speak in Secret to your Friend deliver not before others. #97 – Put not another bit into your Mouth til the former be Swallowed let not your Morsels be too big for the Gowls. #109 – Let your Recreations be Manfull not Sinfull. For the complete list of maxims, go to the Colonial Williamsburg website at: history.org/Almanack/life/manners/rules2.cfm. Read The Bulletproof George Washington detailing God’s protection of George Washington. George Washington’s tomb is at Mt. Vernon. Read/watch Famous Visits to Washington’s Tomb. Watch the video below. What do you think of the video below made by University of Virginia students to explain/illustrate the intended meaning of some of George Washington’s “Rules of Civility”?